Cape Town based tech company Fancam has landed $100 000 in investment from US based venture capital Stadia Ventures. 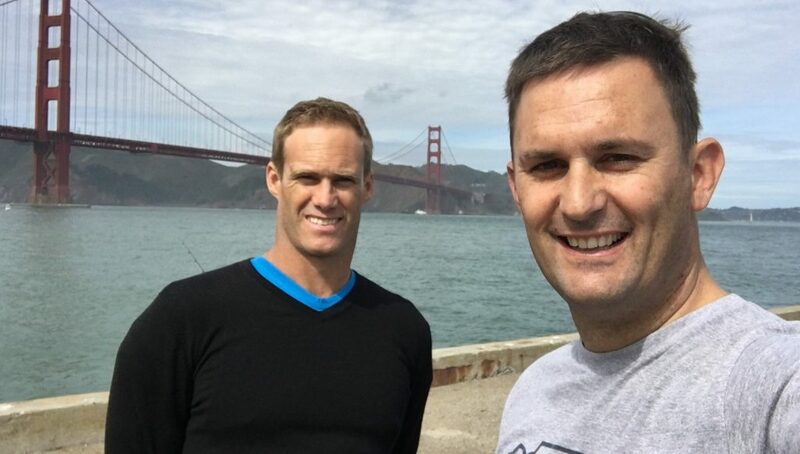 But the company’s co-founder and CEO Tinus le Roux (pictured above, right with fellow co-founder James Tayler) says more important is having secured a spot as one of six participating companies in the latest cohort of the VC’s sports accelerator. This, he says, will provide “industry validation” for the company. The latest cohort kicked off in St Louis last week. Fancam provides high quality photographic images to clients involved in sports games such as the World Series and NBA league as well as the Daytona 500 (see celtic.fancam and Daytona.fancam — two pages recently developed for clients, for a better idea). Clients then provide these to fans who can share their images, which are often branded with sponsors’ logos, on social media. The image is a single 360-degree photograph, and fans can zoom in close to discover themselves or others seated in stadiums. Le Roux founded the company in 2010 with James Tayler and Schalk van der Merwe. 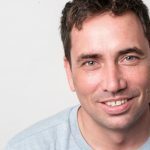 Speaking to Ventureburn on Tuesday (2 April) after having arrived back from the first few days of the accelerator, Le Roux said the company was selected from 60 companies that applied for the St Louis based sports accelerator. Of these, the accelerator shortlisted 10 to be interviewed and from which the final six were chosen. The cohort will run for 14 weeks and Le Roux and some of his team will fly to the US to take part in various three-day programmes during that time. The company presently has 10 full-time employees in its Cape Town office (from where the team has remote control of images), while it relies on a further 10 contractors such as sales people and photographers based in the US. Reflecting on how the programme is going, Le Roux said the accelerator has a “well thought out” curriculum. Participants, he said, can get help from a team of five mentors assigned to each participating company. The programme will culminate in a Demo Day in which participants will get to pitch to a number of investors and sports industry specialists. Le Roux said idea for the company came off a firm that the three had run previously, which provided virtual reality to provide 360-degree images to the property sector. It was only in 2010 when he and his future co-founders were able to figure out how to create bigger pixel imagery and how to do it in 10 minutes, that the idea for Fancam became a reality, he says. In all about 90% of the firm’s revenue is generated in the US. Le Roux said he and his co-founders had initially been involved in “one or two” sports events in South Africa, but had found the SA market too small. The US, which Le Roux says hosts about 2100 baseball games and 1400 basketball games a season, is a far more attractive a market. It was then that Le Roux and his co-founders flew to the US and began pitching their product there. It’s taken hold such that the company has generated revenue from “day one”, while also relying on investments from seven or eight angels investors. About two years ago the company added an analytics platform, which will allow sponsors, teams and others to use the high-quality images to analyse such things as how successful marketing campaigns or price specials. Le Roux said for example, a client wanting to know whether beer specials had been successful could simply analyse the images of various games where these specials were applied.